When it comes to roadside assistance, a lot of people that purchase brand new cars are not aware that newer models require it as well. In fact, quite a lot of newer models also seek for roadside assistance especially for mobile tyre service, towing, car battery replacement and many other ones. One of the things everyone always wanted with their cars is, of course, more space. But, what is the price for having additional space in your car you may wonder? Well, automakers decided to replace the traditional spare tire you got with your new car with inflator kits. Even if the additional storage space does feel very nice, but if you find yourself in a situation with a flat tire, things can get problematic. Due to the lack of spare tires, it is is quite common to seek for roadside assistance during a flat tire, mostly because this type of service will not only provide you with a new tire, but they will also replace your flat as a part of their service. Naturally, you could purchase a spare tire yourself, and you could also replace it if you believe in your inner auto-mechanic, however, if you decide to get roadside assistance, you can safely keep that extra space in your car for some other items instead of a big tire that you may not even need during that specific trip. Of course with new technology, there are also new problems to be taken care of. It might not be that common, but sometimes the new warning systems for fuel can be quite inaccurate, which may make you run out of gas while being far away from the nearest gas station. In case you did not prepare some extra gas, you will definitely find this situation troublesome, but if you decided to get roadside assistance services, then you can rest assured that the company is going to help you out as soon as you give them a call. Just like with flat tires, you could prepare some extra gas, but having additional space to put other items is a much better and comfortable idea. There is no need for you to think about unnecessary problems such as the possibility if the gas could leak out of its container. 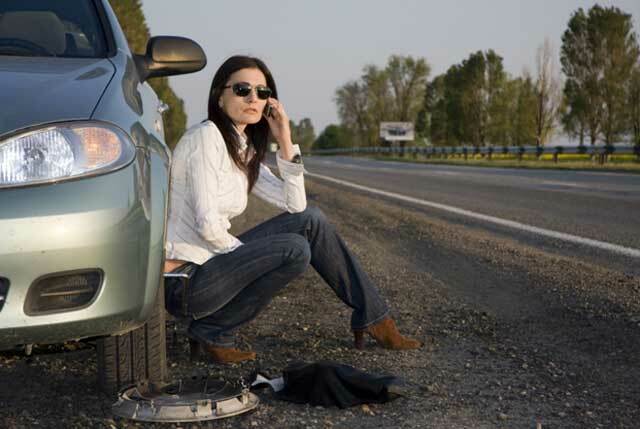 Why get roadside assistance in general? Besides flat tires, being in need of gas, you never know what kind of situation you may find yourself in. Sometimes you might drift off the road, or maybe you just managed to lock yourself out of your car, the roadside assistance providers will always have you covered no matter what type of scenario you can encounter while on the road. Having roadside assistance will save you plenty of time compared to the queue of some towing services. Roadside assistance providers are definitely a good thing to have around, whether you have an old or a new car, you never know what may happen. For roadside assistance in Australia, Roadside Response in Melbourne is worth checking out.